Two additional panoramas: Staircase Courtyard. 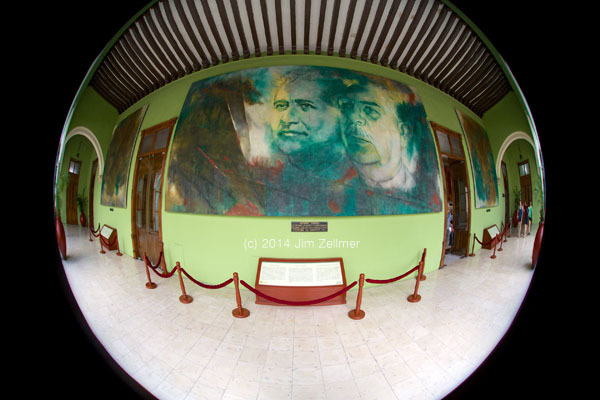 Between 1971 and 1979 Castro Pacheco completed 27 murals for the governor’s palace in Mérida, Yucatán. 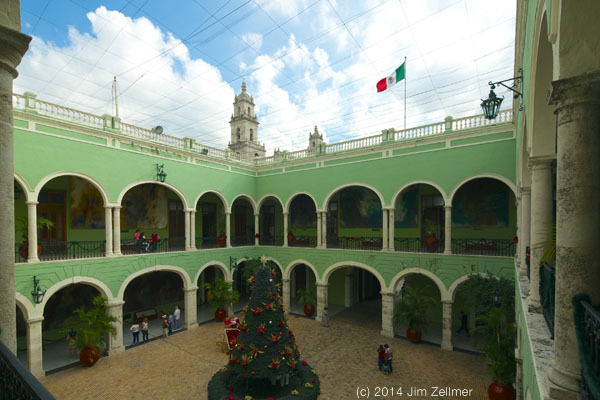 These murals depict what some consider the realities of life in the Yucatán after the Spanish conquest as well as images and myths of native Maya tribes indigenous of the Yucatán region. 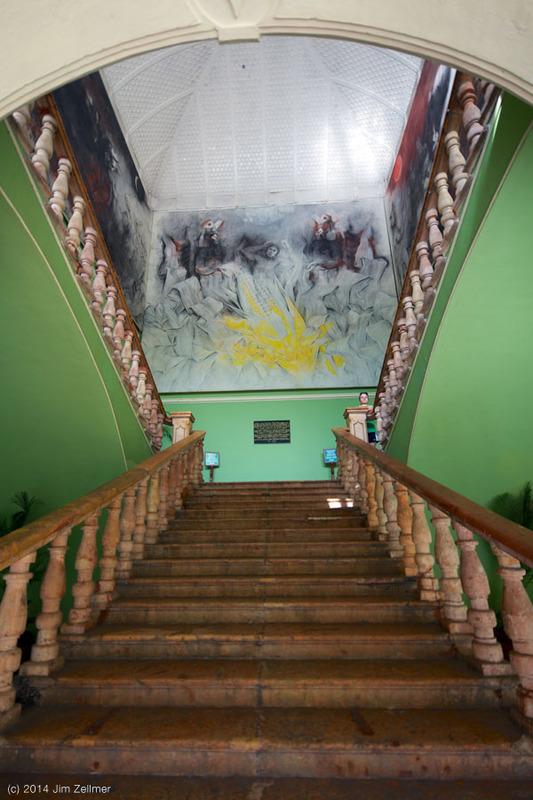 The murals depict scenes of work and torture that the native peoples of the Yucatán endured under Spanish control. The reality of early henequen workers are seen in El henequen. A traditional creation myth of the native tribes is also depicted by Castro Pacheco in his work Hombres de maiz. 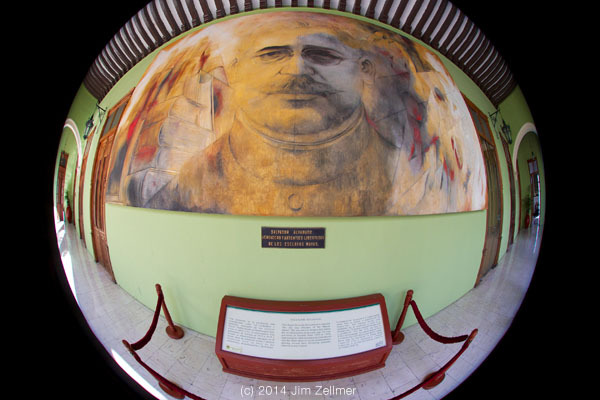 The murals are oil paintings on large format canvas. Posted in Architecture, Photography, Travel. 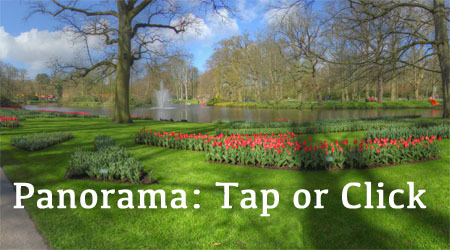 Tap or click to view the panoramic scene. Then pan any any direction to view the entire 360 x 180 image. Posted in Gardening, Photography, Travel. Over the past week, Norway has been witness to some jaw-dropping light shows, the result of an M8.7 class flare and a coronal mass ejection in a direction pointed toward Earth. Many Norwegians shared their photos of the northern lights — or “nordlys” in Norwegian — on Flickr, where we reached out to them for permission to republish them here, in the gallery above. Through Flickr, we can see halfway across the world, to the skies above Trondheim and across Norway. Posted in Photography, Travel, Weather. These devices are increasingly used at domestic airports. Airline crews and airport employees use the old metal detectors…. I opt out. Tap or click to view a full screen panoramic image. Posted in Architecture, Culture, Photography, Travel. The Gordon Lodge. Flickr search. Tap or click to view the full screen panorama. Brian Clark likes Door County’s eastern shore. Posted in Geography, Photography, Travel, Weather. Worth a stop. Gilly’s website. Posted in Culture, Dining Out, Food, Travel. Posted in Architecture, Art, Culture, Current Events, Photography, Travel. Midnight Sun | Iceland (Trailer) from SCIENTIFANTASTIC on Vimeo. Posted in Geography, Photography, Travel.